Why might you need freshwater surveys? Freshwater Pearl Mussel Freshwater pearl mussel are fully protected under the Wildlife and Countryside Act (1981 as amended), which makes it an offence to intentionally kill, injure or take them and to intentionally or recklessly damage, destroy or obstruct access to any place used by the species for shelter or protection or to disturb them while they are using such a place. They are also a National Priority species. White-Clawed Crayfish White-clawed crayfish receive partial protection under the Wildlife and Countryside Act (1981 as amended). This makes it an offence to take a white-clawed crayfish from its habitat and to sell, offer for sale, advertise for sale, possess or transport for the purposes of selling any live or dead white-clawed crayfish. They are also a National Priority species. 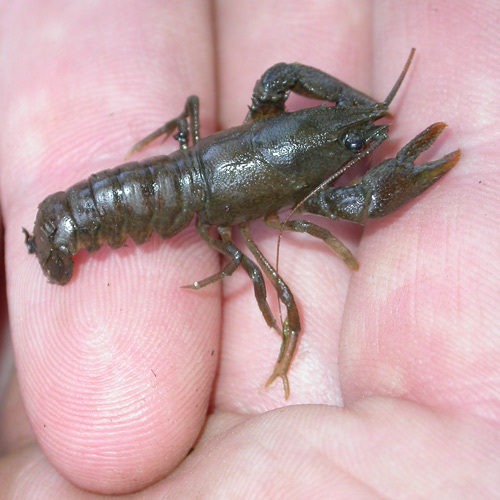 Non-native species, such as the signal crayfish, are listed on Schedule 9 of the Wildlife and Countryside Act (1981 as amended) and as such it is illegal to release or allow to escape into the wild these animals. Fish In addition, there are a number of other key National Priority and Local Biodiversity Action Plan species present within the UK, including brown/sea trout, Atlantic salmon, European eel, river lamprey and sea lamprey. All of these species, and others, are material considerations within the planning system and it is essential to assess when a proposed development may adversely impact these species either directly or indirectly through pollution or disturbance. As such, when works are proposed within or in close proximity to watercourses or waterbodies which are suitable to support these species, further survey work may be required. Works within or adjacent to watercourses and waterbodies also have potential to impact on water quality and anyone undertaking such works has a responsibility to ensure that adverse impacts are avoided. Preliminary Ecological Appraisal During the initial PEA survey, any watercourses or waterbodies will be assessed for their suitability to support fresh water pearl mussel, white-clawed crayfish and relevant National Priority or Local Biodiversity Action Plan species. Additional survey work will be recommended where potentially suitable watercourses or waterbodies are present nearby and may be affected by the works. 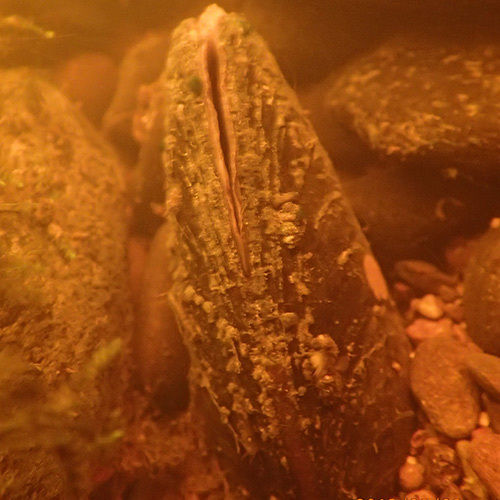 Freshwater Pearl Mussel Survey Detailed freshwater pearl mussel survey is carried out by two surveyors, working within the watercourse and using a bathyscope to view the bed of the watercourse and assess the suitability of the habitats present and checking for evidence of the species. White-Clawed Crayfish Survey There are a number of different techniques that can be used to survey for white-clawed crayfish, including hand searching, trapping and torchlight survey. The survey methods used will depend on the nature of the habitat. 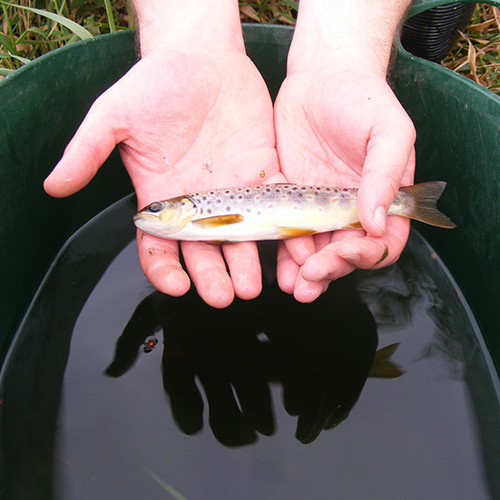 Electrofishing To assess fish populations within a watercourse, electrofishing can be undertaken. This is completed by at least two surveyors using electrofishing equipment to stun fish and catching them with nets. All captured animals are identified and measured, where possible, before being released. The detailed methodology employed will depend on the requirements of the scheme. Macro-Invertebrate Survey An assessment of the water quality of a watercourse or waterbody can be made by surveying the macroinvertebrate population within it. Samples on invertebrates taken prior to, during and post works can indicate water quality through the period to show that adequate care has been taken to protect the feature. If enhancement works are proposed the survey can also show improvements in species diversity, which can be correlated with an improvement in water quality and habitats. River Habitat Survey This can be used to undertake a general assessment of watercourses and can form part of a monitoring scheme for such habitats. The surveyors works from the bank and describe key features, including substrate, flow type and bankside vegetation, at set locations along the watercourse. This can be useful in determining important ecological and geomorphological features within a watercourse that should be protected or enhanced as part of works. When can the surveys be carried out? Freshwater Pearl Mussel Surveys can be completed at any time of year, however the optimal survey period is April to September as survey work can only be undertaken when water levels are low and therefore times when surveys can be undertaken during the winter months are likely to be more restricted. White-Clawed Crayfish The optimum survey period for all white-clawed crayfish survey techniques extends from July to October, with hand searching and trapping not to be undertaken between late May and June when young are being released. 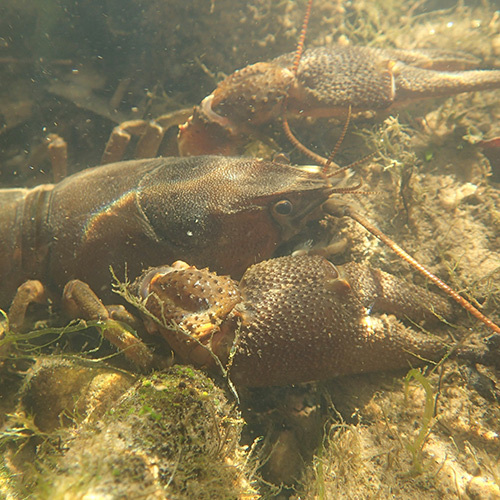 Survey work can be undertaken outside of this period, but the efficacy may be reduced as crayfish activity is reduced in colder temperatures. Electrofishing This survey method can only be undertaken once a permit has been obtained from the Environment Agency but can be undertaken at any time of year, although water levels need to be sufficiently low. Macro-Invertebrate Survey This survey can be undertaken at any time of year, although water levels will need to be sufficiently low. River Habitat Survey This survey can be undertaken at any time of year, but is best undertaken at periods of lower flow when the river bed can be viewed. 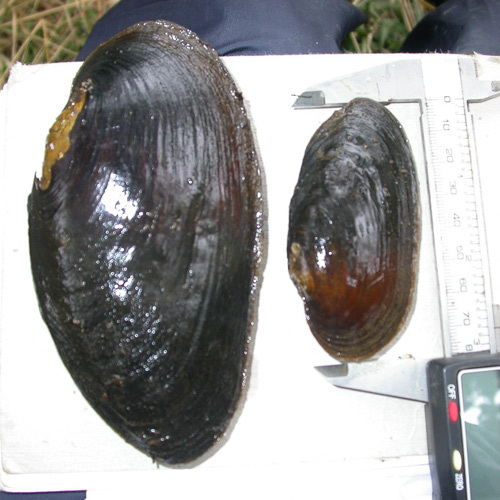 The team at E3 includes staff with licences from Natural England for freshwater pearl mussel. The staff at E3 have also undertaken training in electrofishing, river habitat survey and freshwater invertebrate identification. E3 has been involved with numerous schemes where works have been required in or adjacent to watercourses, including bridge and landslip repair works, and have designed mitigation and compensation measures, applying for Natural England conservation licences for the relevant species where necessary.